Mechanics are the life-blood of Schneider. Schneider’s skilled team of diesel mechanics keeps our vehicles safe on the road. 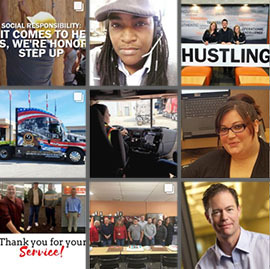 By working together and keeping over 10,000 trucks on the move, Schneider’s maintenance team is essential to our customers’ business operations and the U.S. economy. 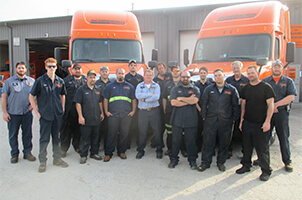 Bottom line: Schneider diesel mechanics keep the country moving. When you walk into a Schneider shop, you’ll experience the difference. Schneider mechanics get the tools and teaching to take your career farther. Family-friendly schedules, safe shop environments, enriching career paths and impactful work on a huge nationwide fleet are just some of the advantages as a Schneider mechanic. Students: rev up and wrench on! Take it to the next level and build on what you’ve learned, turning it into hands-on mechanic experience at Schneider.